“Hear ye, Hear ye,” cried the strangely dressed man while vigorously shaking his bell. Smiles broke out on every face in the crowd. 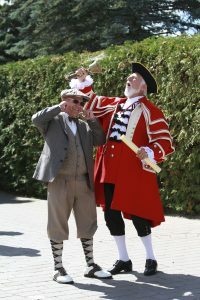 By signaling the start of the day’s fundraising event, this news broadcaster from a long ago past – the Town Crier – had just announced the beginning of a better tomorrow for those served by Participation House, Markham. The proceeds from this year’s golf fundraiser would support the organization’s Physiotherapy Gym and physical exercise programs. “We were all there to help raise funds, but we knew we’d be having a great time doing it, too. Seeing old friends, meeting news ones, sharing stories, and playing golf ­– it was fantastic,” says Altin Nani, President, Duka Property Management Inc.
Duka Property Management Inc. was a lead sponsor of the golf tournament, which was held Thursday, September 15, along with Bergen Developments Inc.
“I got involved 10 years ago as a golfer because my good friend at Bergen invited me. It was that much fun and such a good cause that I wanted Duka to be sponsor, too. Duka’s been involved every year since,” says Altin. Players from team Duka included Altin Nani, Mike Nani, Ilir Decka, Esther Farrar, Reza Astaraki, Daniel Fama, Artur Haxhiu, Lee Cornish, Genc Daja, Gerti Caka, Janet Shore, Erica Gallo, Lauren Kennedy, and Denajda Dhrimaj. “The weather was incredible. It was so good, being outside, doing something good for other people,” says Mike Nani, Regional Manager, Duka Property Management Inc.
After the registration and some warm-up practice on the driving range, the players shared a delicious BBQ lunch. After lunch, all participants got down to business with a shot-gun tee off and golfing contests offering players with varying skills levels a chance to win. 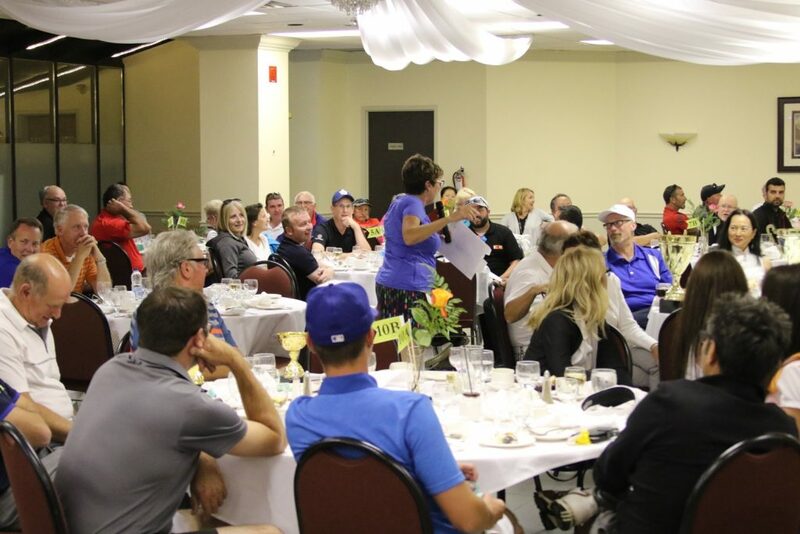 Following the golf tournament and the traditional meeting at the 19th hole, the participants, many with glowing pink faces, gathered for a buffet dinner and a silent auction emceed by comedian Jason Blanchard. “It was a real blast. The comedian was hilarious. And, the bidding war that broke out for the flat screen TV was really exciting. People climbing all over each other’s bid to pay the most for it,” says Ilir Decka, Regional Manager, Duka Property Management Inc. 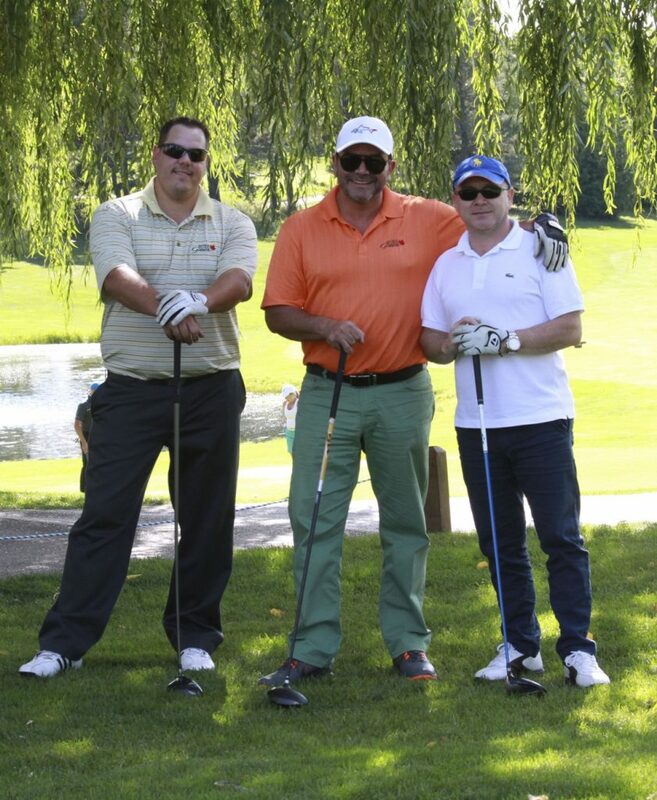 According to Wendy Woof-Severn, Fundraising Coordinator for Participation House Markham, interest in the Golf Tournament was so strong that a “pay it forward” live auction had to be added to accommodate extra players who showed up to register that day. The original donated prize was expanded by the donor from one to four sets of foursomes at Sleepy Hollow – raising another $600. “All of us at Participation House are so grateful to our wonderful sponsors and participants for helping us reach our goal. We’ve now ear-marked the $25,000 of the proceeds for our exercise programs,” says Wendy.